The technology that today allows us to produce visually artistic and intricately delicate embossed products comes from our dedication to finding solutions that best answer the needs and expectations of our customers. Boegli-Gravures prides itself on having developed and set the standards for a number of engineering solutions that contribute to a recognized superior embossing quality and result. Our customers benefit from an important marketing tool that enables them to differentiate themselves from others in their market and to position their brand in the premium segment. Our experience over the years together with our investment in R&D has produced some notable value-added solutions to the functioning of our wide selection of embossing heads. We have developed the Quick-Exchange Embossing Head in answer to the need to maintain production speed and yet allow flexibility when a change in brand or design is required. The embossing head in the Quick-Exchange Cassette becomes an integral part of the packing line and is fix-mounted on the packing machine. Rollers can be changed in just a few minutes without removing the entire head. All our embossing heads now come with our patented self-aligning system. By maintaining the rollers fully parallel at all times, we assure an optimal embossing quality with different types of inner-liners. This system is also available with a multi-roller configuration. When the pitch structure remains the same, only the driving roller is changed to modify a brand logo. This is another of our time-efficient and cost-effective solutions. The variety and the flexibility of our embossing techniques allow our customers many ways to express their brand with a wide array of different packaging materials. Boegli-Gravures pioneered the Pin up/Pin up embossing roller that is today an established industry standard. Through their positive structured surface they symmetrically break the fibre structure of the paper, greatly improving its folding properties. Our creasing rollers – Pin up/Pin down – break the natural memory effect of the wrapping material allowing high speed folding without damage to often delicate contents. This applies in particular to food where hygiene and sealing are paramount. 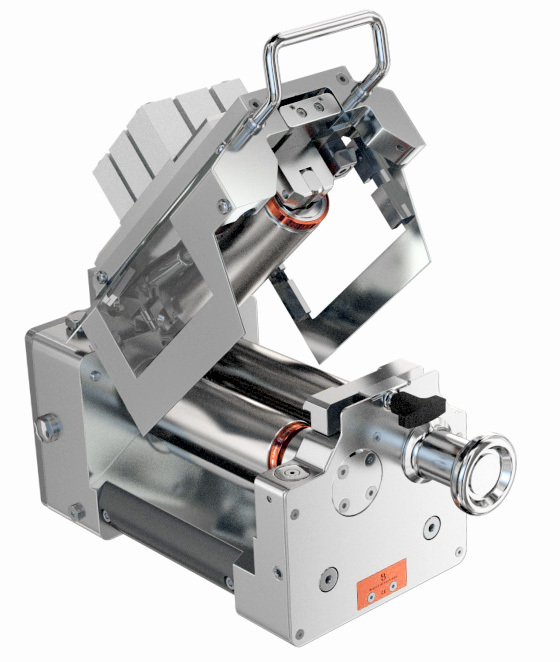 A packing machine can be run at its full potential with fewer rejects and overall improved production efficiency. Our printing dies, with which our business originated, promise constant print results throughout their lifetime. Excellent concentricity and cylindricity allow for high-speed operation and we provide special surface coatings to protect from abrasive inks.